On April 1st 2017, the online lifestyle network powered by the United Bank for Africa, REDTV, held an exclusive screening for the soon-to-be launched web series – Inspector K , at 355 lounge in Victoria Island, Lagos. The event was well attended by the GMD of UBA, Kennedy Uzoka, as well as the Group Director for Marketing and Corporate Communications at UBA, Bola Atta. Also at the launch were some of the very best entertainers in the industry: Actress Joke Silva, Inspector K Producer, Shayo Oke, Kaline Akinkugbe, Denola Grey, Taje Prest, Seyitan, Amiola, Ajifa, Chef Tolu Erogbogbo and several media influencers. Inspector K has put his division on the map through the immense success he has in solving unsolvable cases. A new murder case is been handled in his division and Inspector K will be taking the lead. 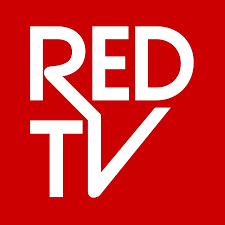 The series, which is set to launch on REDTV on April 14, stars Koye “K 10” Kekere-Ekun, Demilade Olubanwo, Ani Iyoho, Ade Laoye, A’rese , Makida Moka, Bollylomo, Maurice Effiong, Martin Ayeni, Sonia Irabor, Patrick Oke, Ijeoma Aniebo, Joseph Momodu, Odunlami Ayodeji and more.